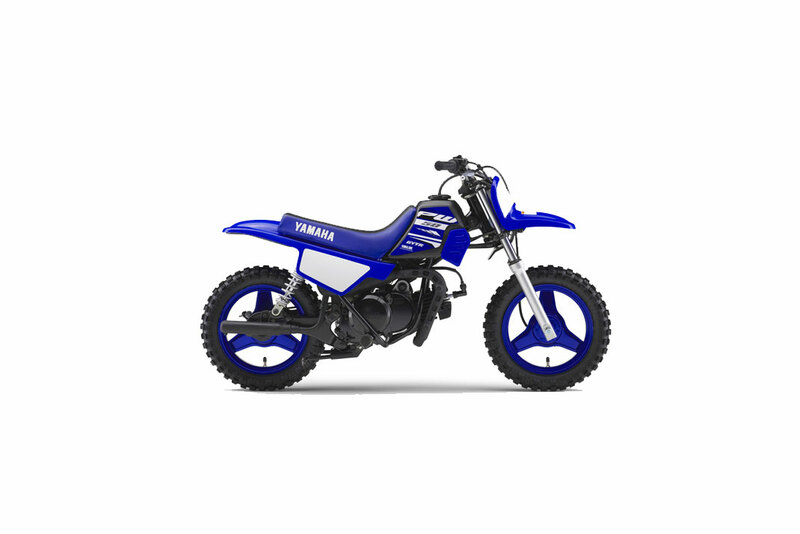 When it comes to kids' minibikes, Yamaha is the clear leader. With the PW50's rider friendly design, it's easy to see why this 50cc 2-stroke is a firm favourite with kids and parents. Safety features include an adjustable throttle which allows parents to limit top speed to suit the rider's skill level - and the enclosed shaft drive reduces maintenance chores. And there's no gear shifting to worry about, it's zippy 50cc 2-stroke engine drives through a fully automatic gearbox for simple 'twist-and-go' performance. At just 39kg, this lightweight and compact mini-bike is the ideal way for your child to have hours of fun while developing their riding skills. 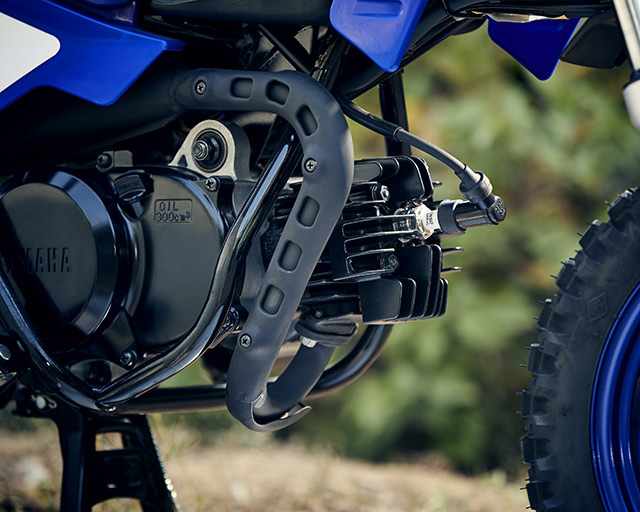 The PW50's lightweight 50cc 2-stroke air-cooled engine is designed specifically to suit the needs of new riders. Smooth and responsive, the fully-automatic gearbox makes for rider-friendly 'twist-and-go' performance - and the simple throttle limiter allows parents to adjust top speed to suit the rider's skill level. With its low seat height of only 485 mm and a comfortable riding position, new riders will feel instantly at home on the PW50. The handlebar layout is similar to a bicycle's, with the back brake operated by the left hand and front brake by the right, making it easy for beginners. Just twist the throttle and the fun begins. Just about every feature on this remarkable little motorcycle has been designed to make the PW50 fun to ride and easy own. The fully-enclosed shaft drive system is clean and quiet, which, together with its low-maintenance design, makes this system the obvious choice for new riders and for parents wanting an easy life. 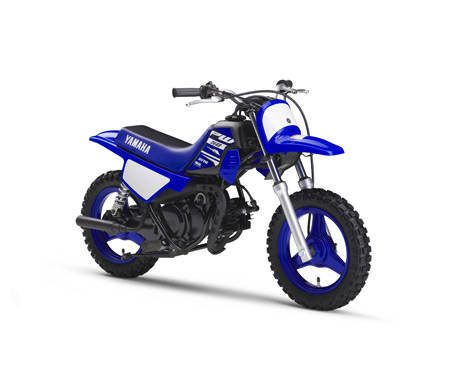 Just like Yamaha's larger-capacity off road bikes, the PW50 is equipped with polypropylene bodywork which combines high strength with low weight. The front and rear fenders and side panels are finished in racing blue, and bright tank graphics and white racing number backgrounds give this leading mini-bike a sporty image. Check out the exhaust and you can see another example of how our engineers have gone to great lengths to enhance safety and convenience. Featuring a heat shield for added protection, this lightweight pipe is routed close to the engine for extra ground clearance and improved protection. Although it weighs only 39 kg, this is a tough little motorcycle that's designed to deliver many years of fun. Its 3-spoke 10 inch steel wheels are strong and easy to clean - and for plenty of grip, the PW50 runs on chunky 2.5 inch wide tyres.